The team of 32 Dental encourages patients to consider cosmetic treatments. When teeth are misaligned, patients may feel self-conscious about the way they look. Misalignment is a common problem seen in both teenagers and adults. The most effective way of addressing misalignment of the dental arch and bite is with orthodontics. Orthodontic treatment is intended to realign the teeth within the dental arch. In a more traditional sense, this has been done with bracket and wire treatment. Metal brackets and wires can detract from the appearance of the smile and may also make patients feel embarrassed about undergoing treatment to the point where they avoid it altogether. Thankfully, Drs. Lan Vo and Sean Breckley of 32 Dental are proud to offer an alternative known as Invisalign. 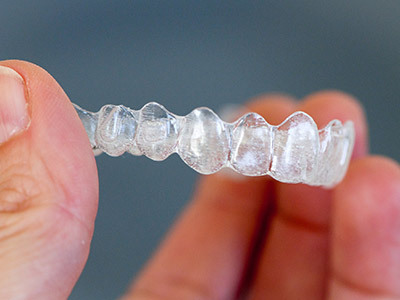 Invisalign works great for patients with mild to moderate misalignment of the smile. This means that their malocclusion is not incredibly severe. Complex cases may benefit more from traditional appliances. Invisalign can straighten teeth, address overcrowding, improve bite alignment, and reduce gaps between the teeth that may detract from the overall appearance. This is essential for confidence and beauty. At 32 Dental, Drs. Lan Vo and Sean Breckley are committed to assisting individuals in the community with a wide range of dental treatments. From Kennesaw to Woodstock, Marietta to Powder Springs, GA, our team is here for new and existing patients. Individuals interested in receiving quality care are welcome to visit their practice at 600 Chastain Road NW Suite 422 or call the office at 770-423-1132 for more information.